It’s no secret that we’re suckers for any and all videos coming from The General, and this one is no exception. The video (available for your viewing pleasure after the break) goes into detail about the two newest variants of the upcoming Chevy Cruze that were unveiled at the New York Auto Show two weeks ago – the Eco and RS. 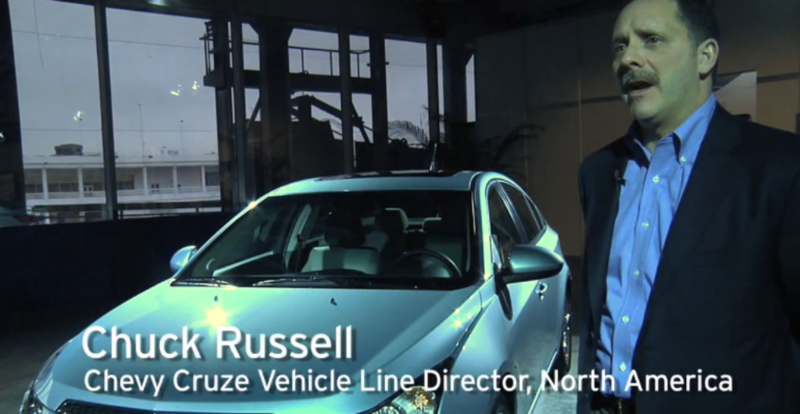 Chuck Russell – Chevy Cruze Vehicle Line Director, North America – goes over the Chevy Cruze Eco and explains the three key areas that Chevrolet focused on the most in making the trim package, while Margaret Brooks – Chevy Production Marketing Director Small Cars – goes over the Cruze RS.